A pint of milk a day could protect obese children from developing diabetes, according to new research. 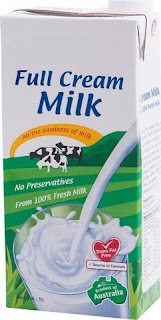 Cow's milk contains nutrients, one of them being trans-palmitoleic acid or omega 7, that lower insulin, the hormone that controls glucose, between meals, the study showed. This reduces the risk of 'metabolic syndrome' - a cluster of disorders including high blood pressure, high blood sugar and fats, excess belly fat and low 'good' cholesterol. Having any three can lead to diabetes, heart disease and stroke.